While I am currently an active member of the Olive Recreational Senior Art Workshop, I have always enjoyed artistic pursuits since early childhood. For the most part, I am a self-taught painter who utilizes acrylics but recently began working with oils. 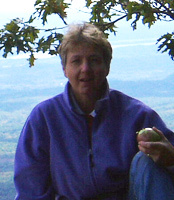 And, I am a retired elementary school teacher whose passion has been family, children, and painting. In recent years I have donated several of my paintings to various nonprofit organizational fund raisers, while selling a few others privately. My husband and I reside in Shokan where we raised four children and now are the proud grandparents of six.